Even if your kids don’t play team sports, being physically active is a big part of a healthy lifestyle. Some children naturally gravitate towards team sports and it becomes a treasured part of their childhood. 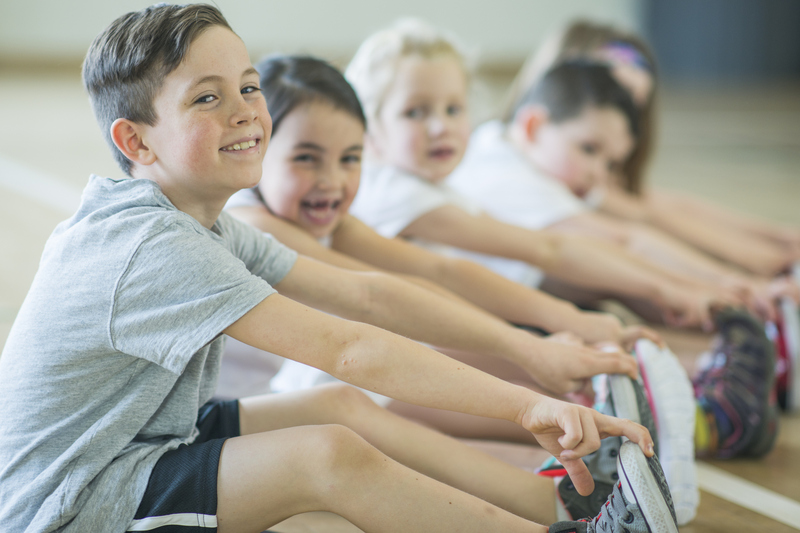 But this isn’t the only way to get your kids moving – there are loads of activities to choose from – martial arts, tennis, swimming, riding a bike to school…the list goes on! Injuries can often come about from overuse (think tennis elbow and shin splints) and this is more likely to happen if your child is playing only one sport. These injuries can also lead to complications like osteoarthritis later in life; so it’s really important to encourage your kids to play a range of sports. This should also stop things from becoming too serious, as fun should be the name of the game at this point. A solid warm up is pivotal to helping prevent injury. It literally increases the temperature of the body, and ups the heart and breathing rate. Any warm up exercises should start at low intensity and gradually build to the intensity required for the main event. Just as important is the cool down. This needs to be an activity that’s markedly reduced in intensity, like a light jog or walk. And 5 minutes of stretching right at the end is the recommended way to finish. The weather will affect how your child copes with playing sport or exercising. No matter what the temperature, you should ensure they’re well-hydrated before they start playing, and that they continue to drink water throughout and afterwards. If it’s a hot day, make sure your child is protected from the sun and if they complain of feeling unwell, take them off the ground. How demanding is your kid’s schedule? Youngsters who show particular promise in one, or multiple sports are likely to have a packed sporting schedule. That’s why it’s so important to communicate with their coaches and teachers to avoid injury and burnout. The sooner an injury is diagnosed, the more effectively it can be treated and your child can return to playing. they feel dizzy or nauseous.